When you have sliding or overhead garage doors, you need convenience not only in regard to operation but for the times you will need to replace damaged parts of the panel. One door panels are certainly strong and beautiful but lack the convenience of sectional doors. What will happen if some parts of the panel are damaged? What about if the damage is beyond repair! In this case, you will need to replace the entire panel and this would mean a considerable cost and if the characteristics of the new door will be different, you will have to pay for the replacement of other components as well. 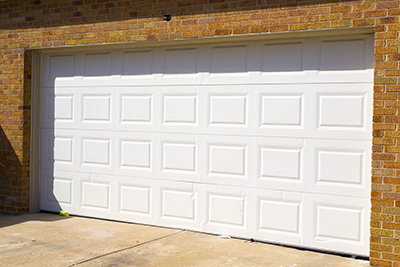 If you want to avoid the expense of full garage door panel replacement, sectional doors will be the best solution! Instead of having one door panel you will have several vertical or horizontal panels hinged together. If you think that these types of doors are not as strong as one door panel ones, you are mistaken. They provide equal safety and they are equally durable. Plus, they have the convenience of being replaced individually. So, if you bump your car in the door, you won't have to spend a fortune in order to replace the whole door since you can only replace the damaged panel. Sectional doors will still run on garage door tracks with wheels whether you have an overhead or sliding door. In fact, if you decide to enlarge your garage opening and need a bigger sliding door, you can simply add one more panel instead of buying an entire new panel. Panels are secured to each other with hinges and for this reason you just have to make sure that they are always tight. Garage door hinges usually last for way too many years but it wouldn't hurt checking them periodically for rust and make sure their screws are in place, so that you can ensure the stability of your door. Even if you have to replace them at some point, this would be a rather inexpensive replacement.